Oil supermajors have come to realize that shrunk capex plans will make their exploration efforts profitable in lower-cost, lower-risk areas, and have changed drilling tactics to the ‘less is more’ philosophy, a Wood Mackenzie analyst told CNBC on Monday. “The new economics of exploration mean that rather than pursuing high-cost, high-risk exploration strategies - elephant hunting in the Arctic, for example - the majors have become more conscious of costs,” Andrew Latham, Vice President of exploration research at Wood Mackenzie, said, discussing the ‘Exploration Benchmarking – Majors 2006-2015’ report. According to the report, oil majors invested US$169 billion in exploration between 2006 and 2015, which resulted in additional 72 billion barrels of oil equivalent (boe) added to Big Oil’s resource base. As many as 25 billion barrels of those came from unconventional plays, which have become increasingly important for the majors’ exploration efforts. Unconventional resources accounted for 15 percent of exploration expenditure, and their returns have been outperforming returns from conventional resource exploration since 2013, according to the report. Slashed budgets have led companies to opt for drilling in places where costs are lower, including at wells located near existing fields. 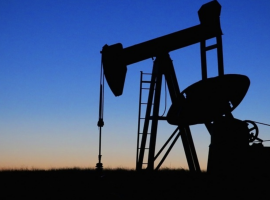 Big Oil was quick to take measures in 2015 to adapt to the ‘lower-for-longer’ prices to improve exploration returns, which has resulted in higher prospect quality, according to Wood Mackenzie. Related: Can India Become An LNG Juggernaut? “The industry now has in prospect a different – and potentially more profitable – future,” Wood Mackenzie’s Latham said. The report also noted that gas would become increasingly important with only one-quarter of discoveries being oil and the rest being gas. Production is still tipped toward oil, however, which globally accounts for two-thirds of output. 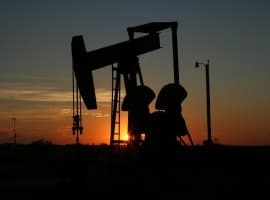 Just last week, Goldman Sachs dashed hopes of an oil price recovery, with their head of commodity research, Jeff Currie, saying that crude would continue to trade within the US$45-50 band over the next 12 months. Any improvement above US$50 is highly unlikely, according to Currie.